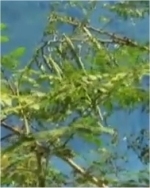 "Alternative animal fodder Moringa Mulberry Leucaena leucocephala feeding the African children in DR Congo Uganda Tanzania Malawi Zambia Nigeria"
A major constraint to livestock production in developing countries is the scarcity and fluctuating quantity and quality of the year-round feed supply. Providing adequate good-quality feed to livestock to raise and maintain their productivity is and will be a major challenge to agricultural scientists and policy makers all over the world. Increase in population and rapid growth in world economies will lead to increase in demand for animal products; an increase of approximately 30 percent in both meat and milk production is expected in the coming 20 years. 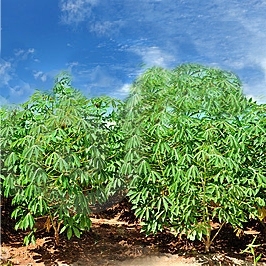 At the same time, the demand for food crops will also increase. Future hopes of feeding the millions and safeguarding their food security will depend on the enhanced and efficient utilisation of unconventional resources. In addition, a large area of land in the world is degraded, barren or marginal and the amount is increasing every year. This also calls not only for identification and introduction of new and lesser-known plants capable of growing in poor soils, which can play a vital role in the control of soil erosion in addition to providing food and feed. In developing countries, livestock are fed mainly on agro-industrial by-products containing a larger proportion of ligno-cellulosic feeds like cereal straws, stovers, sugarcane by-products and similar other feeds. These feeds are poor in protein, energy, minerals and vitamins. Addition of foliage from tree leaves or supplementation with seed meals or even urea can improve the utilization of low quality roughages mainly through the supply of nitrogen to rumen microbes. 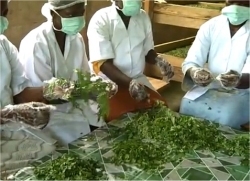 The use of simple but robust techniques for evaluation of the nutritional quality of these feed resources will contribute to their efficient utilization. 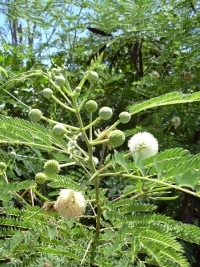 Leucaena leucocephala is one the highest quality and most palatable fodder trees of the tropics, often being described as the ‘alfalfa of the tropics’. Livestock feed should not contain more than 20% of L. leucocephala, as the mimosine can cause hair loss and stomach problems. Leaves have a high nutritive value (high palatability, digestibility, intake and crude-protein content), resulting in 70-100% increase in animal live weight gain compared with feeding on pure grass pasture. 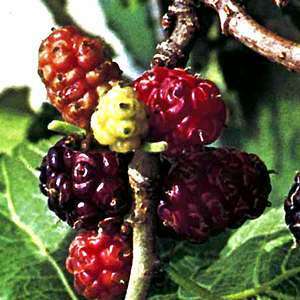 The effects of Mulberry leaf powder added in feedstuff on the production capability of laying hens, as well as on the egg quality, were investigated. When 7.5% and 15% of mulberry leaf powder was added respectively, the food consumption of laying hens decreased in a short period while the physiological situation remained its normal level. At the same time, there was no significant fluctuation in the egg yield, and there was no appearance of damaged egg, soft egg and deformed egg. 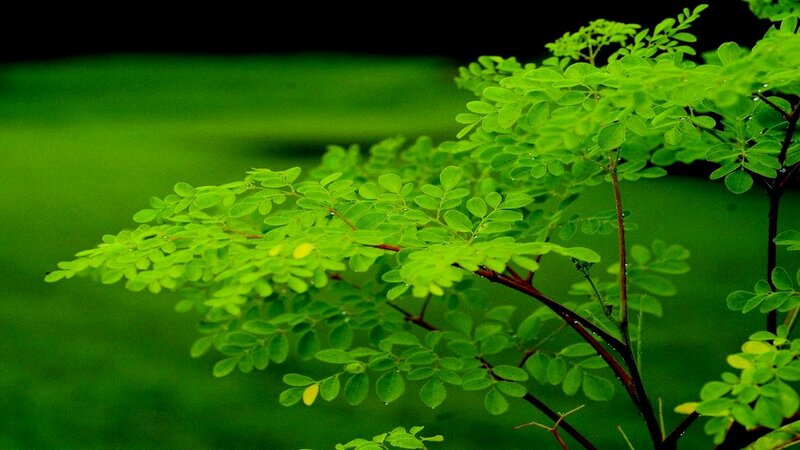 Moringa leaves and twigs are readily eaten by cattle, sheep, goats, pigs and rabbits. Branches are occasionally lopped for feeding cattle. During pruning when the main stems are cut back to encourage side shoots these can be fed to livestock. 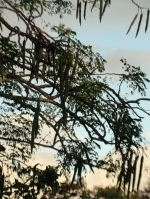 The twigs left over when the leaves have been plucked during the Moringa processing can be chopped up and given to cattle, sheep and goats. 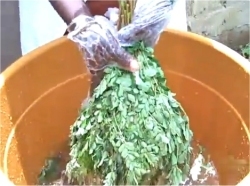 Leaves can also be used for fish and chickens.The inclusion of Moringa oleifera leaves meal up to 30% in the diet of growing traditional Senegal chickens had no negative impact on live body weight,average daily weight gain, feed conversion ratio, carcass and organs characteristics, health and mortality rate in birds compared to their controls. Guinea corn a grass species cultivated for its edible grain. The species can grow in arid soils and withstand prolonged droughts . 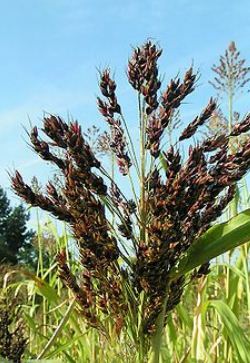 Guinea corn is one of a number of grains used as wheat substitutes in gluten-free recipes and products and is an excellent food for the poultry and piggery project.